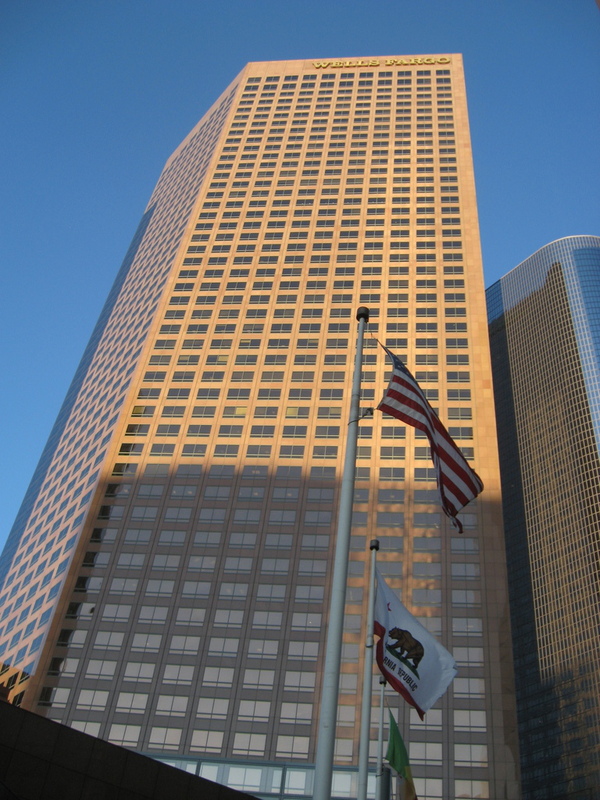 Today was my first practice session at the Wells Fargo building in downtown Los Angeles. 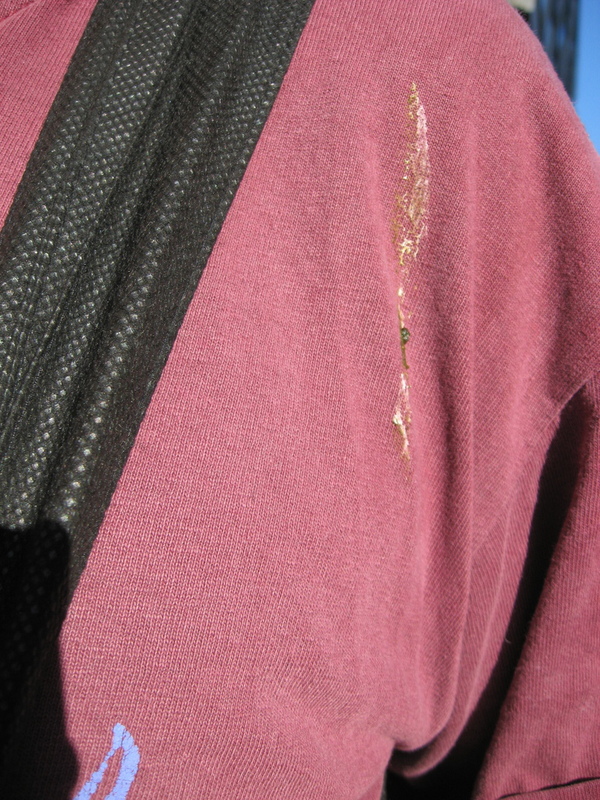 Things got off to a bad start when I was walking over from the subway station, and I got bombed by a bird. Yick. Fortunately, after that, things improved. I walked over to the building and we all lined up. For some weird reason, they wanted to let us into the stairs in groups of 10, at something like 1-2 minute intervals. I’m not sure what that was supposed to accomplish, but I guess it doesn’t matter. When it was our group’s turn to go, they opened up the door, and we started up. I waited about a minute or so before starting. I knew that the group in front was going to get spread out pretty fast, and that that would make for easier passing. And when I got going, I just concentrated on catching and passing everyone who had started in my group. It was kind of hard getting around some of them, but I only ended up taking the long way around on a landing once. 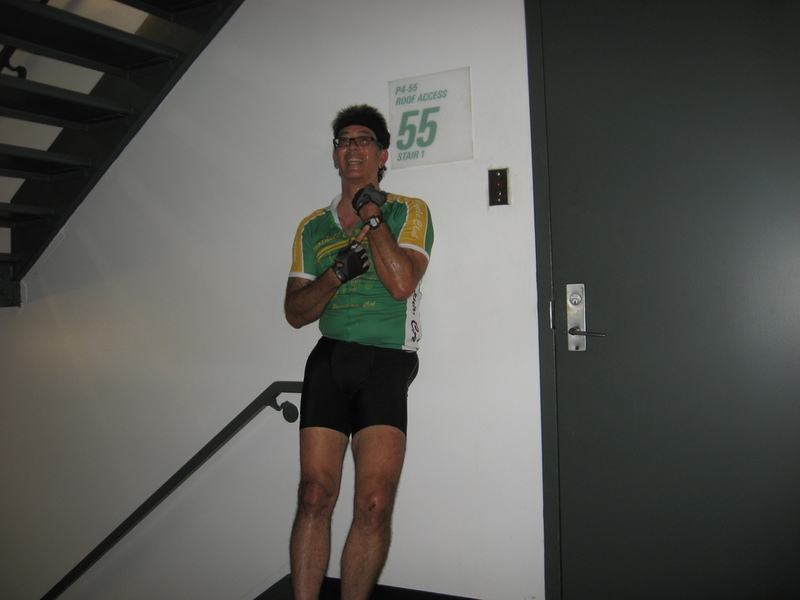 So I was able to maintain an efficient course up the stairs. 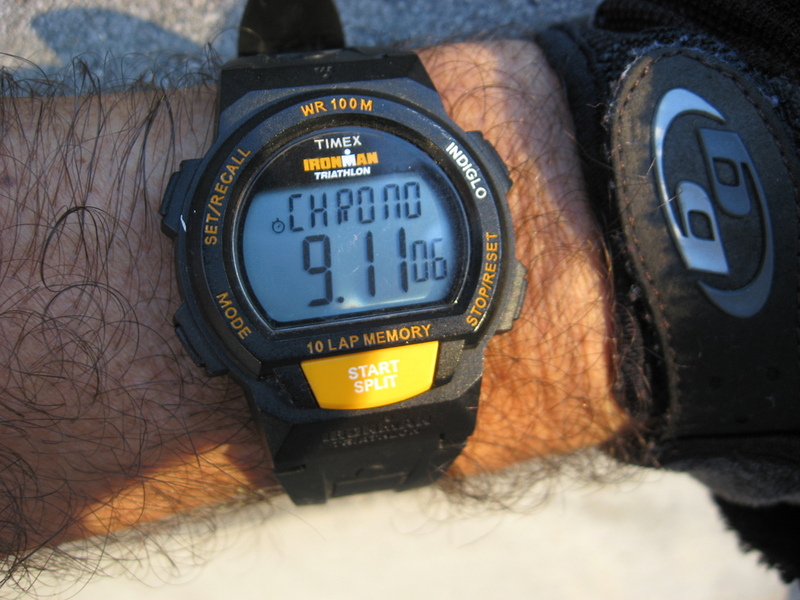 I took a quick look at my watch at the halfway point. It said something like four minutes and a few seconds at that time. So that was good. I knew I was on track for a decent time. My best time for this last year was 9:28, and I was hoping to better that today. By the time I got to about 35, I’d passed everyone who started in my group, and I was catching some of the stragglers from the group ahead of us. But the last 20 floors were kind of lonely. That made it hard to maintain the pace. But I looked at the time again, and that got me going, since I knew I had a decent chance to do a good time. By the time I got to 50, I was really hurting. My lips were tingling. And I was getting that ‘tunnel vision’ thing I’ve heard other stair climbers talk about. But I managed to keep going up to the landing at 55. I stopped my watch, and I saw 9:11. That’s a good improvement over last year’s time, although to be fair, last year we were able to go up one more floor to the landing below the roof. This time, they had the last flight of stairs blocked off with caution tape. So that would have added about 10 seconds more, but even with that, I’m still going a good bit faster than last year. That’s not a record, but it’s my second-highest recorded power output.